The Box Canyon has not changed much sense my last report. The boat access is still not an option. We are just starting to see a few blue wings and the midges are in full swing. 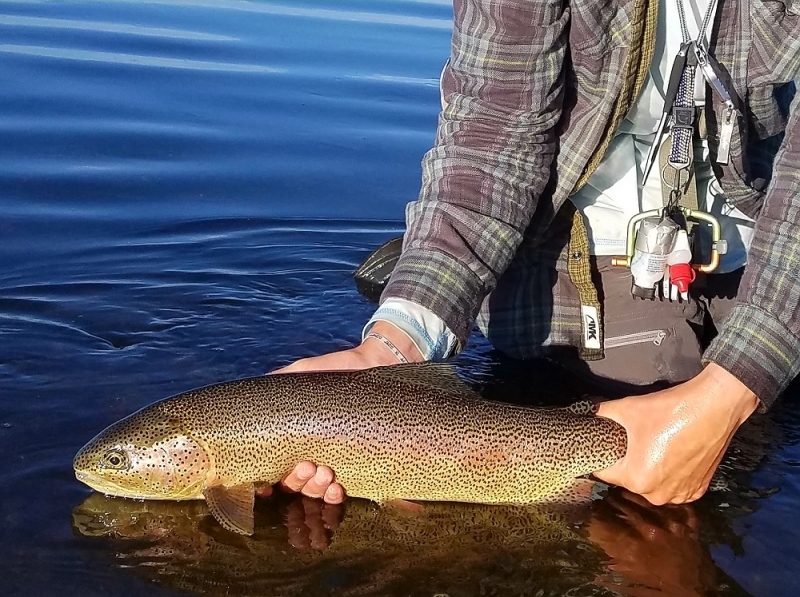 Fish are active and the streamer bite in the box has been amazing! Go armed with the usual nymphs. I would have zebra midges in red and olive. I would have two bit hookers and rubber legs. The snow up here is going fast but it will still be a couple of weeks before the ramp is accessible. Wade access through last chance has gotten easier. If you are fishing through last chance keep a sharp eye out for spawning reds. There are fish rising on sporadic blue wings and the midge fishing has been very good. I would not venture out on the water until around noon for the dry fly action. The lower Henry’s Fork has really improved over the last week. All the boat access with the exception of Jump off Canyon are good to go. Blue Wings are coming off in good numbers and fish are on them. I would have #16 bwo no-hackles. A hackle stacker in the same size is also a good call. Don’t forget to have some number 16 cocktail nymphs with you. 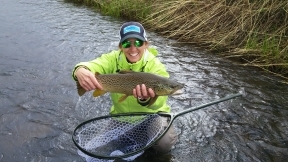 The weather has been a little rough but blue wings are a hardy mayfly so don’t let bad weather keep you off the water. Keep watch for March brown as well. I have not seen any yet but they could show up at any time. If things are slow don’t be afraid to fish streamers. 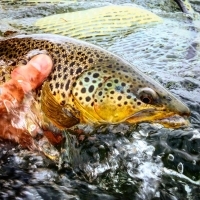 The streamer bite on the lower river remains strong. It’s an exciting time to be on the river! Grass is getting green and birds are singing! If you have some time on your hands get out on the river. If you are looking for a guide, I have a bunch sitting around just itching to get out on the water. Give us a call and take advantage of the off season rate. The South Fork remains hit and miss. The flows are increasing weekly but it sounds like the streamer fishing has been ok. All the ramps with the exception of cotton wood are open. That area of the South Fork is winter range and will open when the forest service feels comfortable that wildlife won’t be stressed. 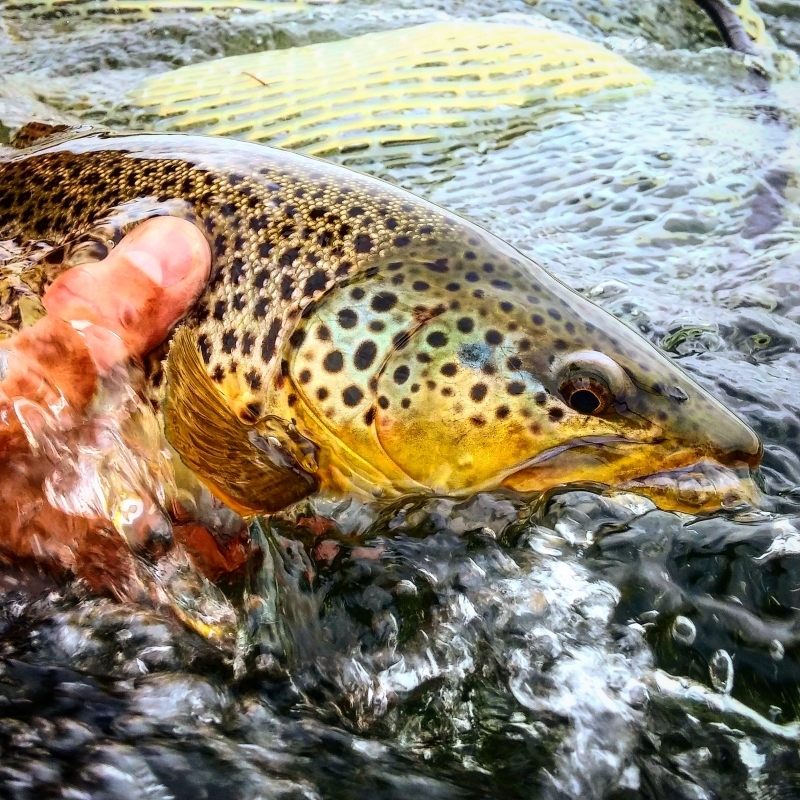 Keep an eye on the flows if you plan to fish the South Fork. If flows have been steady for a few days the go. Look for blue wings and midges. You can’t go wrong with zebra midges on the south fork. The Madison has really been fishing well. The walk wade section is my favorite place to fish this time of the year. I have not fished the float sections simply because I can get my boat out of the garage due to the three feet of snow that is still here in Island Park. I would have Griffith Gnats in your box if you’re planning a day on the Madison. Cocktail nymphs and small zebra midges are also a good idea. Again please watch out for spawning reds and give those spawners a wide berth. There are also a few skwalla’s around.